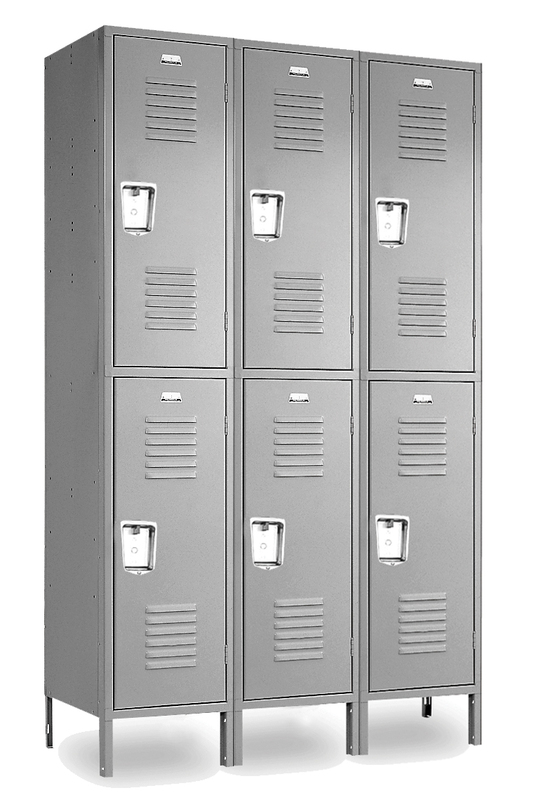 These Steel Lockers Double Tier are available on www.buyusedlockers.com where they have a huge selection to choose from if we need additional supplies. 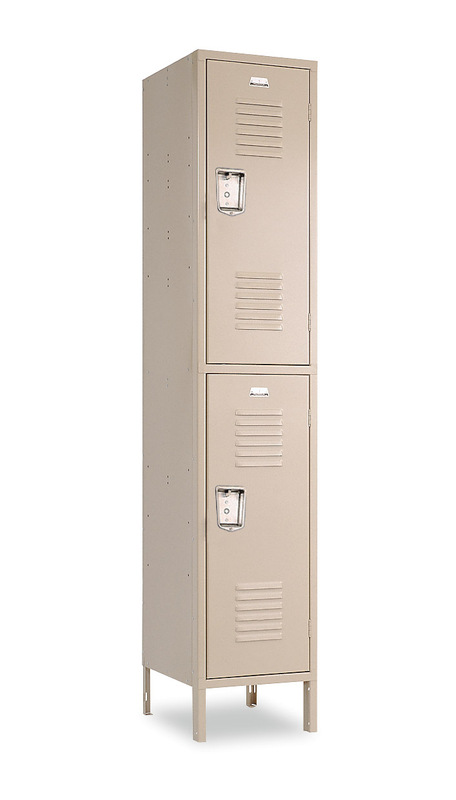 New double tier steel lockers ALWAYS in STOCK in 10 different popular sizes are available for immediate shipment in Gray, Blue or Beige from all our Quick Ship locations across the nation, or in Black, Red, Green & Burgundy from select centers. Items generally ship within 1 to 3 business days unassembled, or 5 to 7 business days assembled (usually sooner). These are high quality, manufactured with durability and lasting performance in mind; they are even stain and scratch resistant! Now you can provide storage for twice as many people without doubling the required floor space! 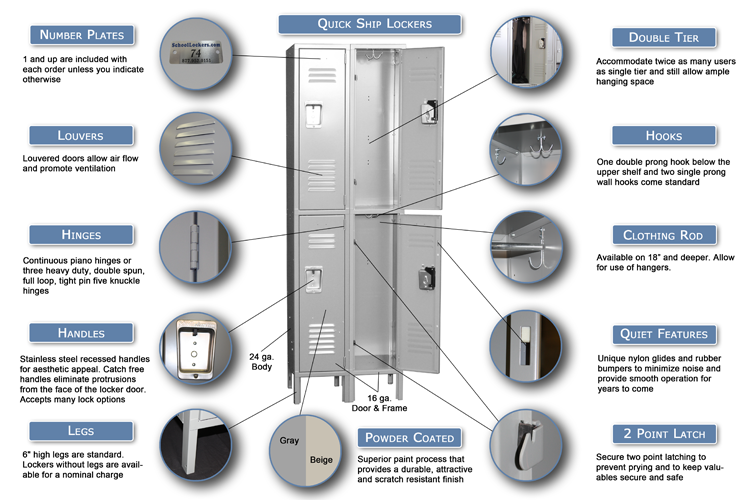 Although half the height of tall lockers, these can still accommodate light clothing and other personal or business items. Perfect for patrons in schools, changing rooms, offices, etc. to store their personal and professional belongings.